Lots of twins have a special connection – being able to finish each other’s sentences; sensing what the other is thinking; perhaps even knowing when the other is in trouble or in pain – but for 12-year-old twins, Matt and Emily Calder, the connection is beyond special. Together, the twins have extraordinary powers – they are able to bring art to life, or enter paintings at will. Their abilities are sought by villains trying to access the terrors of Hollow Earth – a place where all the demons, devils and creatures ever imagined lie trapped for eternity. John and Carole E Barrowman’s first novel for young adults was published by Buster Books on February 2, 2012 and is available from all good bookstores and online retailers. On February 6, 2012 Hollow Earth topped Amazon’s chart of Children’s Sci-fi and Fantasy novels. 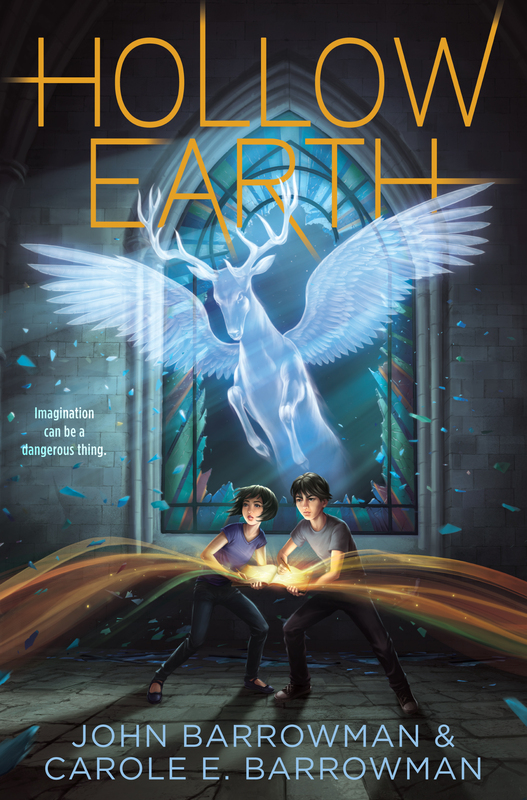 Hollow Earth was published in the US on October 30, 2012 by Aladdin Books, the children’s division of Simon and Schuster, and is now available from all good book stores and on-line retailers. John has recorded an audio book version of the novel for AudioGO (UK) and this is now available for download or on CD. I need to visit! Sounds lovely. @BarrowmanCrime We have one used bookstore in our town, tucked away down a fenced ally with only a single sign to mark its entrance. Chairs nestled in between bookshelves amid the special fragrance of earthy wood with hints of chocolate and almonds.